“In this world of algorithms, timelines, cookies and data capture, it’s sometimes easy to forget that one of the most effective forms of relationship-building marketing is right under your nose. Literally.” writes Jon Hart, Regional account manager at St Austell Printing Company. There’s a romanticism about receiving post. OK, maybe not the bills – but think about the last time you received a postcard; the warmth of a letter from an old friend, or the trepidation of opening a beautiful Valentines Card. A piece of relevant, creative and eye-catching marketing can release these same feelings – and create an emotional connection with your brand. See it as personal contact. Effectively, your business has been invited into their home. You’re perched on the coffee table, and if your message is strong enough they will spend a good amount of time digesting what you have to offer – and act on it. When it lands on the doormat, the recipient has to use their brain to decide what to physically do with it. It’s not as simple as pressing the “delete” button on an email. Royal Mail research shows that 83% of people surveyed preferred to receive direct mail instead of emails – and they trust it too. It makes them feel valued, and implies that you’ve gone to the effort to get in contact. Aside from turning up at their door, it’s one of the most personal forms of marketing available to your business. And as anyone in business will testify, success lies in relationships. Timing is also a key ingredient to any marketing campaign. 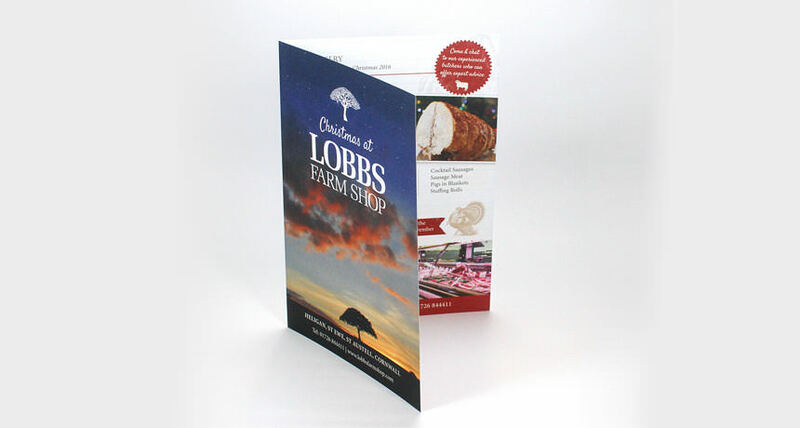 In the run-up to Christmas 2016 we worked with Lobbs Farm Shop and their designers, Design Room Cornwall to manage the multi-step process of printing, packing and labelling 20,000 leaflets. We then oversaw the delivery to Royal Mail, for distribution to Cornwall addresses through their door to door mailing service. You can read more about the project here. Our dedicated direct mail team at St Austell Printing Company have years of experience in helping businesses across the UK to embrace the power of this personal marketing. From pre-press and printing, to finishing and fulfilment; we can ease the pressure and take care of the whole process – to the day it drops through your customer’s door. We’d love to chat about your project. Give myself and the team a call on 01726 624900, email info@sapc.co.uk or pop in and see us. Top 5 tips when planning your Direct Mail campaign. What’s your message? What do you want people to do next? 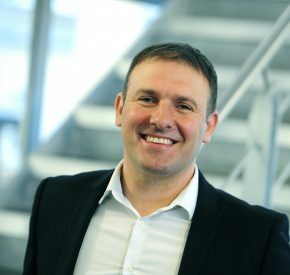 Be clear about your objectives – is it to encourage footfall to your business? Why not include a voucher. Is it to get people visiting your website? Make sure the message is easily found online so they can continue their journey. Is your message relevant for all your customers? Take a look at your data, and give them a message they are likely to act on. Personalising your marketing can work wonders. It helps to re-affirm the relationship with your customer. At the very least, putting their name on your printing makes them feel valued. If you’re able to include other personal information, such as previous purchases then this can really stand out. Make sure your design is eye-catching and colourful. Think about your paper-stock, and which keywords of your message you want to stand out. Don’t be afraid of unconventionality. One Ukranian Fitness club created an origami direct mail in the shape of an athlete. After following some simple steps, the paper is transformed into the figure of an athlete, communicating their key message that a few basic moves will transform your physique.